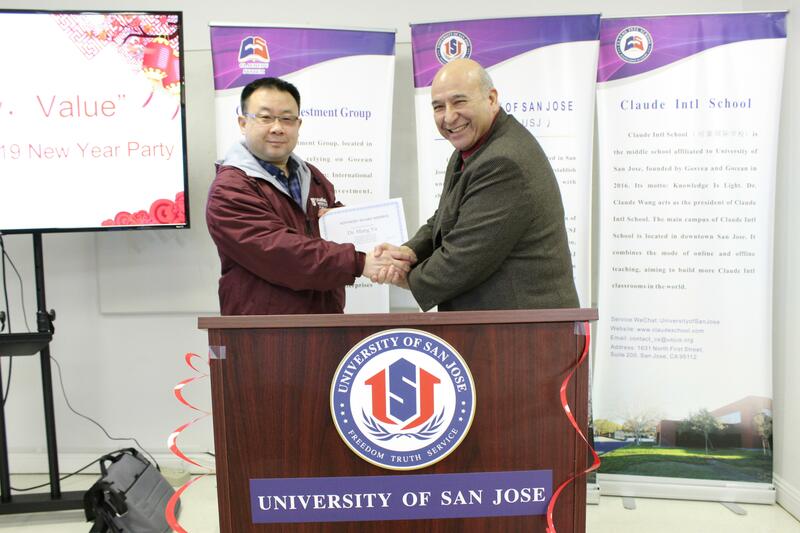 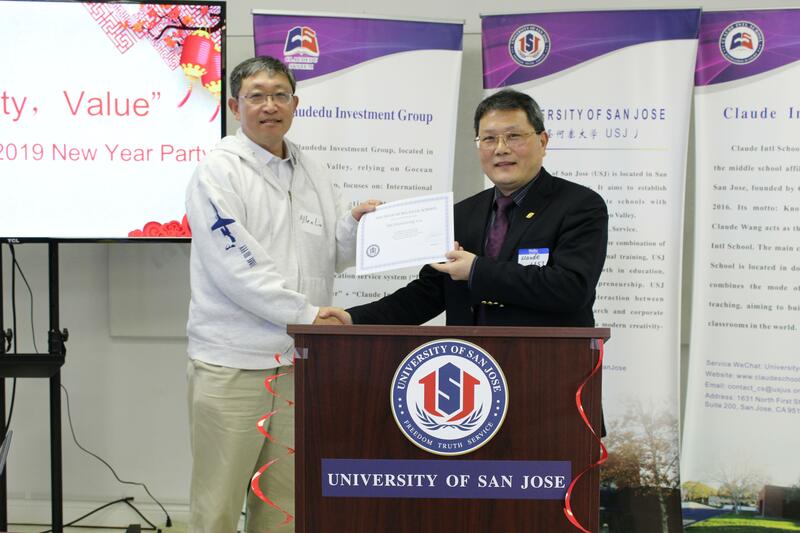 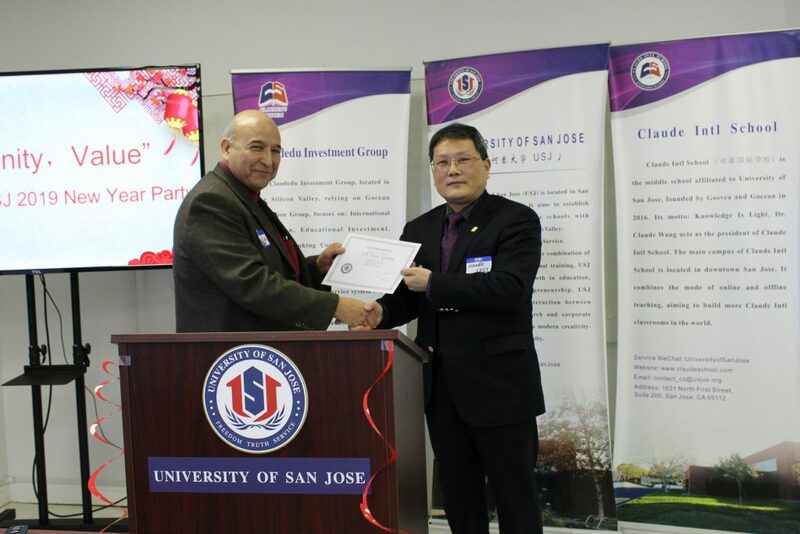 On February 5th,2019 “Community,Value” 2019 New Year Party Of USJ Was successfully held in University of San Jose (USJ). 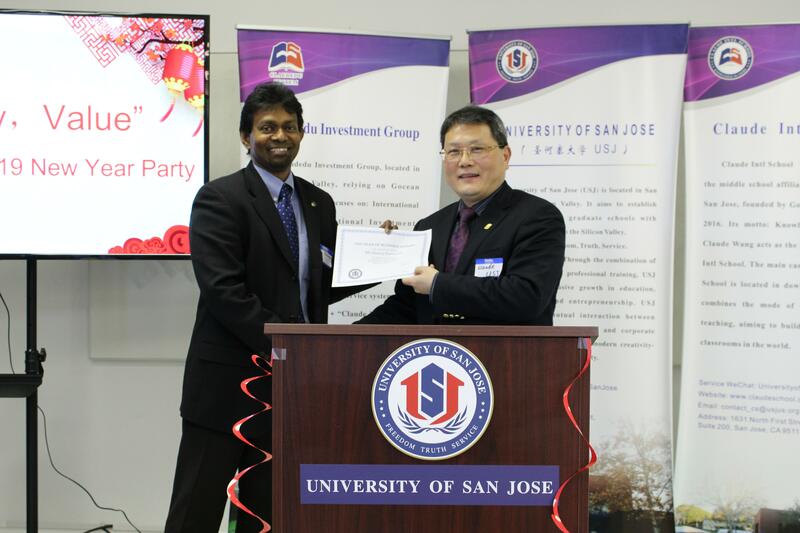 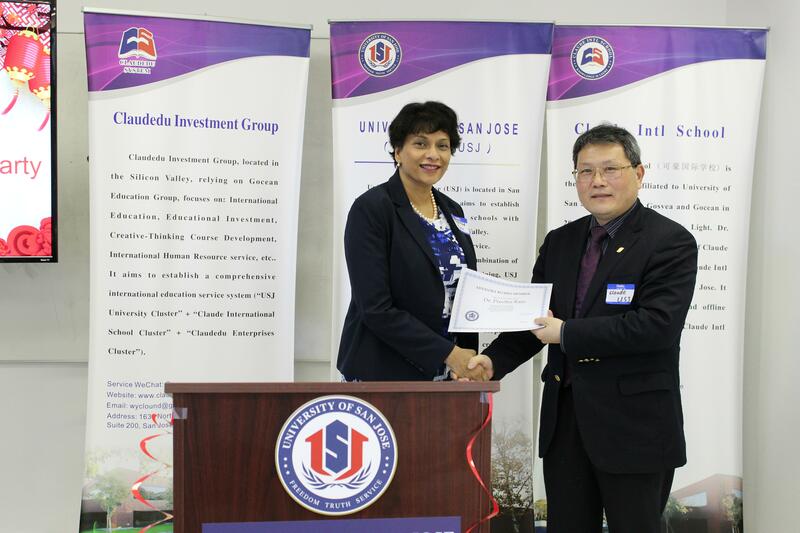 At the party President of USJ Dr. Claude Awarded Certification to The Vice President of USJ J.D.Tom Tafolla, and The Dean of the bussiness School of USJ Mr.Mamoj Fernando,Dean of the Big Data School of USJ Mr. Allen Liu, and the advisory board member of USJ Dr.Preetha Ram,Dr. 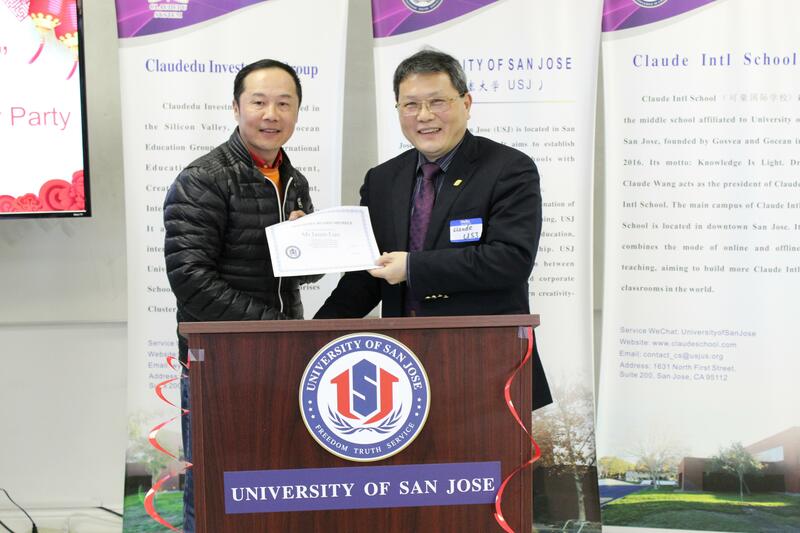 Mang Yu,Mr.Jason Luo!